The Old Testament is indispensable in understanding the New… the New Testament is the climax to a story, if you don’t know the first part of a story then the ending doesn’t mean that much. I’ve written a few articles now, in a series called The Story of Salvation, and I just thought I’d take a break from the story to say why it’s even important to know and understand the Old Testament. The two sections of scripture are divided into, what we now call, the Old Testament and the New Testament. The dividing line between the two being, just like in history with BC and AD, the birth of the Son of God. The New Testament contains the words, teachings, and commands of Christ, in both His own words and those of the inspired authors. The Old Testament contains the history of the people of God, the law, and the prophets. You might ask why learning about Israel, the law of Moses, and the prophets, should be of any concern to a Christian. There are many reasons, but the main one that I would proffer is this; Christianity is the fulfillment of thousands of years of prophesy about a Jewish messiah, with Jewish apostles and disciples, who were steeped in Jewish religion and tradition. It’s this base that Christianity is built upon. It’s for this reason that the Old Testament is important, so important that the first read at mass will almost always be from the Old Testament (except during Easter season when the first reading is from the book of Acts). Also it’s through the Old Testament that we can get the context of scripture as a whole. 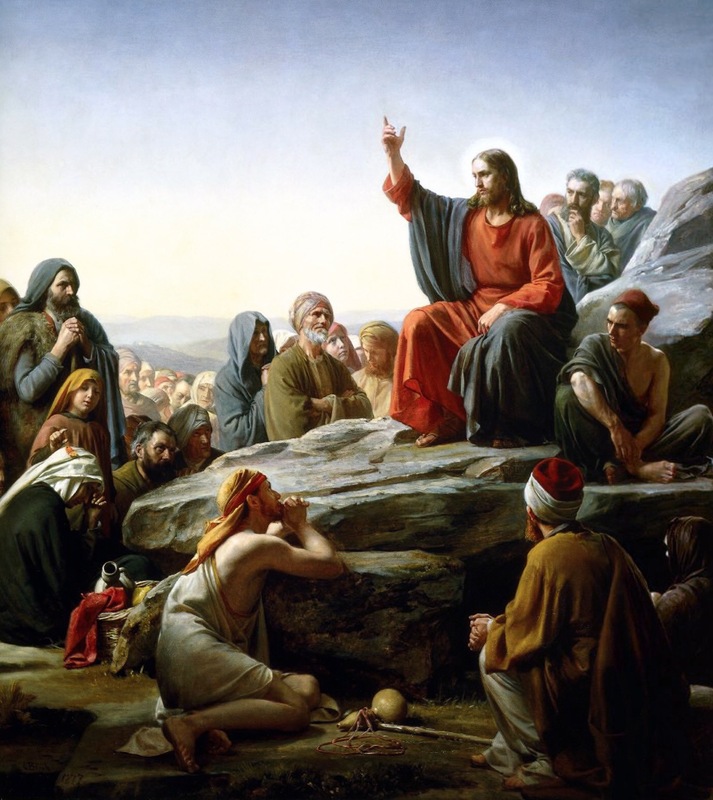 When Jesus taught His disciples, and the crowds that gathered, He taught in parables and by making references to the scriptures. That means He was making direct references to the Hebrew Scriptures, aka the Old Testament, because there was no New Testament at the time. Even after Christ’s death and resurrection, there wasn’t any written scriptures, except the Old Testament, until the first gospel was written in about 65AD. So when the inspired writers of the New Testament made reference to “the scriptures” it was always the Old Testament because the new hadn’t yet been written. For example, the phrase “the scriptures” is said 20 times in the Gospels, 7 times in Acts, 6 times in Romans, 3 times each in Galations and James, 2 times each in 1 Timothy and 1 Corinthians, and once in 2 Peter. Each and every time, this is a reference to the Old Testament. And that’s just with a concordance word search, there are more than these if you searched different terms, but the point is the same. There are a whole host of theological, ecclesiological, soteriological, and eschatological reasons to read and study the Old Testament, but let me present and equally valid one; it makes for a good read! There are countless stories in the Hebrew Scriptures, and some are more interesting than the bestselling novels of today. Adam and Eve, Noah and the flood, Abraham and Sarah, Abraham and Isaac, Jacob and his brother, Joseph and his brothers, Moses the prince and savior of the Hebrews, the Red Sea, golden calf, and these are all just in Genesis! Get out there and read the Old Testament, study the way that the ancient Israelites worshipped God, and study the prophecies that pointed clearly to Jesus as the messiah. I promise you it will strengthen your faith, and add to it a level of depth that you didn’t even know you were missing. CCC 121: The Old Testament is an indispensable part of Sacred Scripture. Its books are divinely inspired and retain a permanent value,for the Old Covenant has never been revoked. CCC 123: Christians venerate the Old Testament as true Word of God. The Church has always vigorously opposed the idea of rejecting the Old Testament under the pretext that the New has rendered it void (Marcionism). This entry was posted in All Posts/Archive, Catholic Life, Story of Salvation, Uncategorized. Tagged Bible, catholic, oldtestament, salvation.